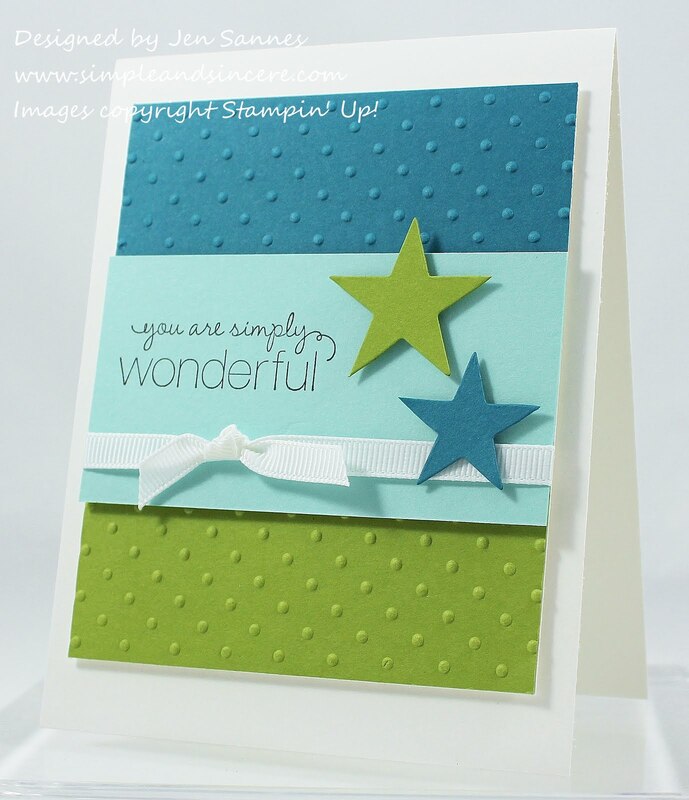 Simple & Sincere: FMS 10: You are Simply Wonderful! Happy Monday, all! I'm playing along with this week's Freshly Made Sketch. I love the clean lines and layout of this sketch. When I saw it, I immediately thought of stars. Not sure why, but sometimes, you just have to go with it, you know? I love the clean look of this and the colours are fabulous! Adorable card! I love, love, LOVE the color combination! What a fresh card, love the color combination and it's a great CAS card! Thanks for playing along with Freshly Made Sketches this week! 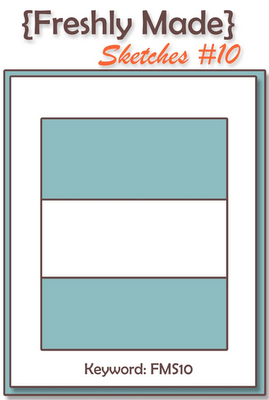 Love the clean lines of your card! Definitely freshly made~! This is simply wonderful! I love the color blocking and the stars! So glad you joined us this week at Freshly Made Sketches! Love your CAS design! The colors are so fresh and fun. Thanks for joining us at Freshly Made Sketches! Gorgeous card with fresh colours! Love the stars!! I think I might start a fan club for you; I love your style so much. :) I love the colors and the stars! Thanks for joining us at Freshly Made Sketches. Wow...I love this! Such a clean and fresh design and fun colors! Thanks for joining Freshly Made Sketches this week! P.S. I just LOVE your clean and simple style! !